Will I be a fully qualified accountant after becoming AAT-qualified? After completing Level 4 (Level 8 in Scotland) of the AAT Accounting Qualification, you’ll be recognised as a fully-qualified Accounting Technician. This places you in an ideal position if you want to progress to chartered accountancy, and completing AAT will grant you exemptions with chartered accountancy bodies such as ACCA and CIMA. Once you've become AAT qualified and can demonstrate a year’s work experience (including six months within accounting and finance), you can apply for full AAT professional membership, and use the letters MAAT after your name. 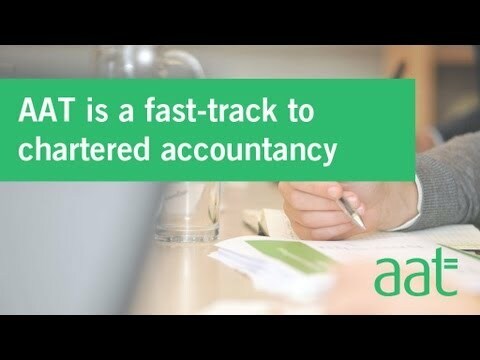 Would you like to learn more about AAT? The Guardian: What does an accounting technician typically do?